I am not a Realtor; but I live with one. And after twenty three years of being married to Greg Arcara, I just now figured him out, unpredictably, through genealogy. The thing about a good, talented career Realtor is that there is no faking it; I’ve known for decades that Greg truly harbors a great passion for houses, homes, neighborhoods, communities, but especially for the sweet feeling of victory when a perfect match is made between a client and their new family home. I am witness to his tossing and turning at night when there are issues, and to his absolute delight when the deal works out for everyone. I get to know his clients even though I never meet them. I know that when we drive through a neighborhood being newly constructed, all I see is mess and sawdust; but Greg sees the possibilities. 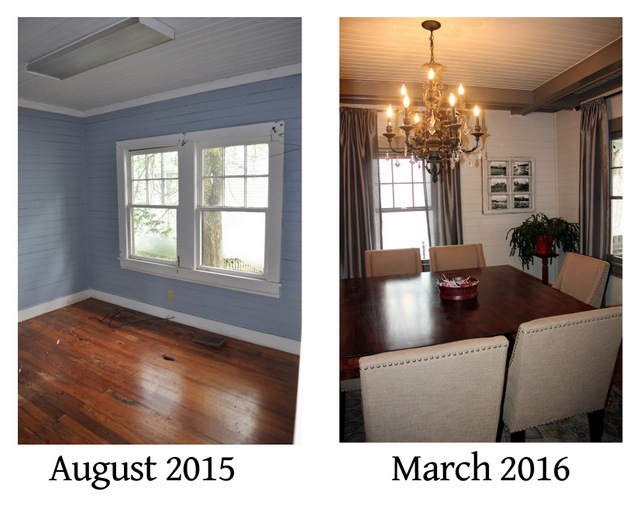 When we walk in a vacant house and I just see blankness, Greg literally sees furniture placement, colors, the specific comforts of the right home for certain clients. And when I am exasperated over Greg missing weekend days, football games, or late nights, I see an absence where he sees a presence. It’s not just Greg; one of my very best friends, Tammy Taylor, is one of those obsessive, devoted Realtors whose mind is reeling all the time with possibilities of making that perfect home/homeowner match for someone. You know a true professional Realtor when you see one; it is not the people dabbling in it for a quick buck, some giving the rest of the Realtors a bad name; the good ones are fierce about the ethics because they really care about the rest of the story; they aspire to a “happily ever after” ending for all. I have never known where this comes from, the stuff that makes Real Estate the only viable career path for a few special people; could it be genetic? In doing Greg’s family history research, I have run across three interesting characters that make me believe there is a Realtor gene and that my husband has it. First, there is Greg’s 2nd great grandfather, Randolph Manuel Hernandez, a true pioneer of the city of Birmingham. Born in 1838 in Pensacola, of Spanish descent, he and his vivacious wife, Emma, moved to Birmingham the very year it first became a city; the store they opened was noted for being the only store remaining open during the great Cholera epidemic of 1873. 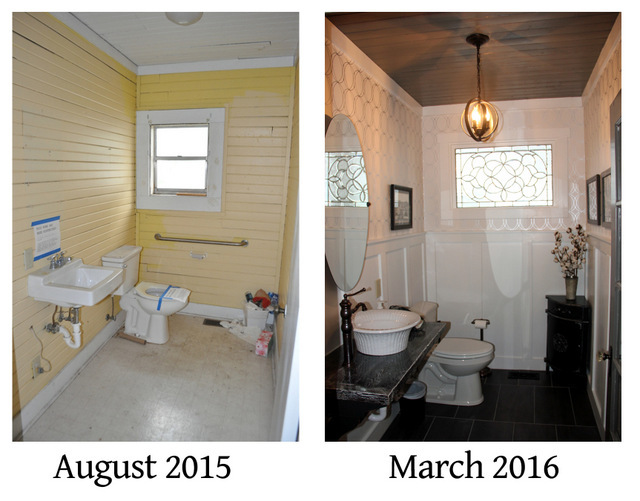 They took pride in building the prettiest house in the small new city, and they became involved in helping everyone around them make this brand new location, the Magic City, a true home. 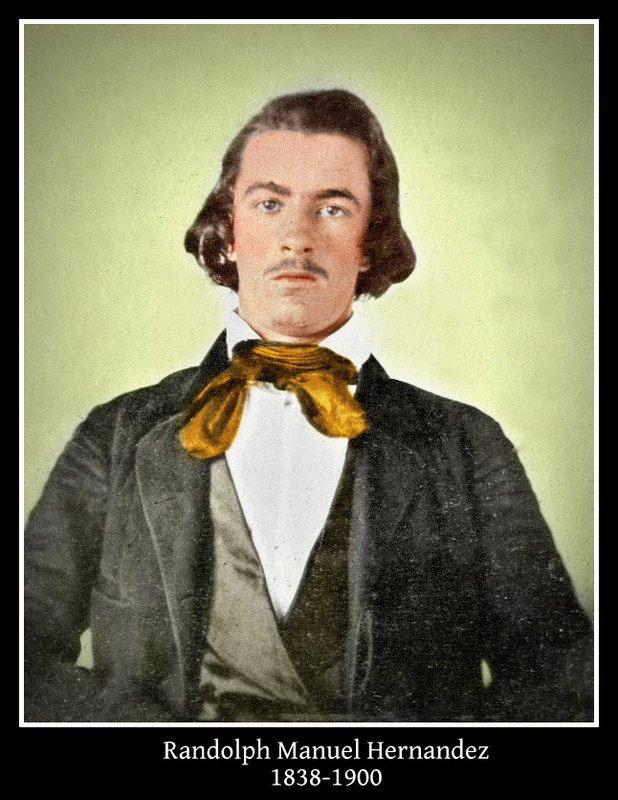 Randolph Hernandez earned the reputation of being a highly respected real estate man; by the end of his remarkable life in 1900, Randolph must have had great pride having seen his own real estate business grow with the booming city. Second, there is Greg’s great-grandfather, born Andrea Tripi in the little Sicilian village of Montemaggiore Belsito way back in 1865; he came to Birmingham, Alabama, in 1895 and reinvented himself as Henry Trippi. 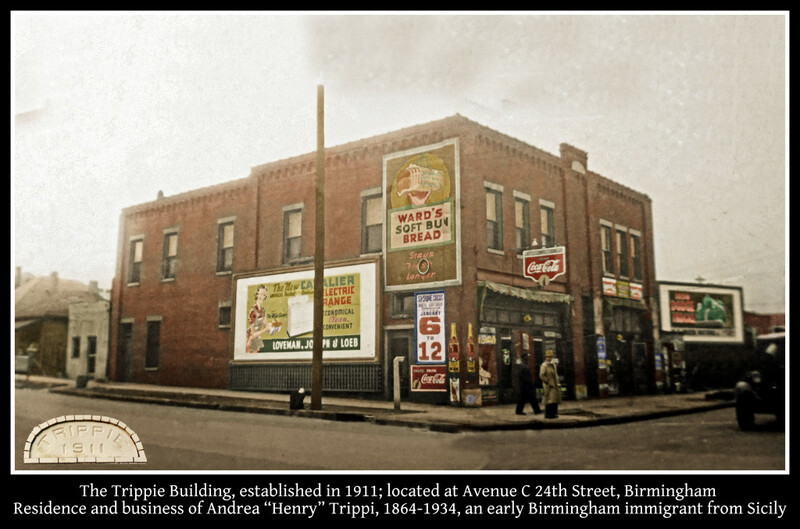 While most of the new Sicilian immigrants in Birmingham were doing hard labor in the coal mines, Henry saw a different path; by 1905 he had opened one of those Italian “Mom and Pop” style grocery/drug stores in a building he built, called The Trippie Building, in downtown Birmingham. He figured out that this rapidly growing city was made of families needing homes; by the time of his death in 1934, he had become quite successful in real estate. There must have been tremendous pride and satisfaction in seeing home ownership become a reality for so many people who had been largely born into poverty. And then there is Greg’s Aunt Nellie Arcara. 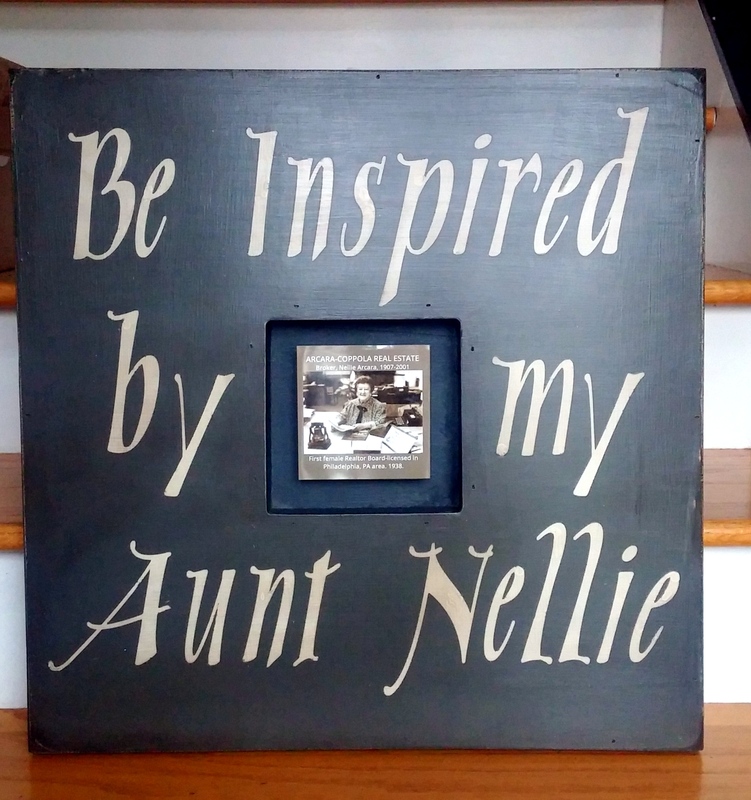 Aunt Nellie was a pioneer in her own right; she was the first female to be recognized by the Philadelphia, Pennsylvania area Real Estate Board, in 1938. People like Aunt Nellie paved the way for future generations; when she worked her way up from a secretary and learned the real estate business during the Great Depression, most of the doors were closed to women. In 1931, when the company she was working for went out of business, Nellie jumped on the opportunity and started her own real estate company. 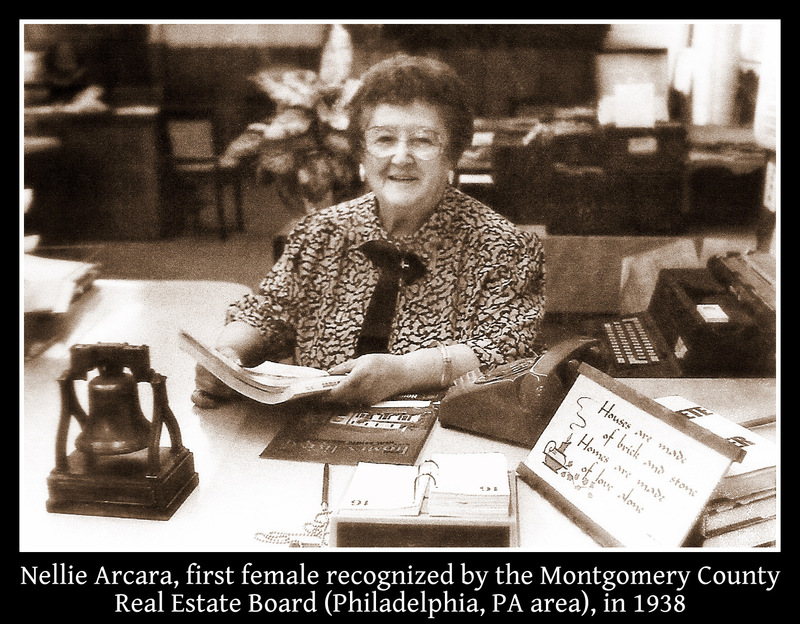 She surmounted discrimination by the Real Estate Board and successfully fought for a change in the board’s by-laws to allow female members; she was finally recognized by the Montgomery County Real Estate Board in 1938. She was a remarkable person; she raised her family, ran a business, and spent a huge amount of energy towards philanthropic causes. 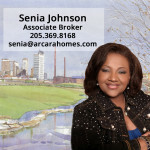 By all accounts, she absolutely loved helping people with the huge life decision of choosing a home. Aunt Nellie worked until just about the day of her death in 2001; she was in her 90’s. She just could not stop doing what she loved and was very, very good at. If not for pioneers like Aun t Nellie, we wouldn’t have great organizations like the Birmingham Women’s Council of Realtors, over which Arcara Residential’s Senia Johnson, Realtor, has presided. So now I know: I married into the family and the Real Estate gene is real and continuous; our youngest son has decided that he has the bug, too. Here is a bit of advice from someone who has lived with it: when you are deciding on whether to use a Realtor and then selecting which Realtor to use, look for that gleam in their eyes; the one that sees past the structure and imagines the potential home, wheels spinning about how to make every party happy. That smart and ethical person who knows what they are doing because they obsess over it 24×7. The one that does the homework. That’s the Realtor you want on your team. And when you walk into our new office in Helena, please tip your hat to Aunt Nellie Arcara, whose image will be smiling down, offering inspiration. Well, it happened. After fifty years of living on the front lines of the Auburn/Alabama rivalry, I saw something today that surprised even me. There she was. 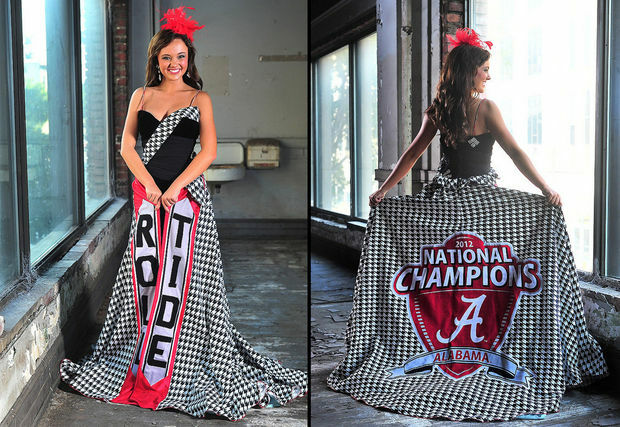 Miss America wannabe, our beautiful Miss Alabama, previewing an official ensemble of Roll Tide meets Hancock Fabrics with a dramatic flair of Scarlett O’Hara thrown in. First I was speechless; then my thoughts soon turned to the unsuspecting people who have decided to move to our state, unprepared for the extreme phenomenon that is Alabama and Auburn. If this is all new to you, bless your heart, I’m gonna try to help you out here. Decades before ESPN made a revealing documentary about the Auburn/Alabama rivalry, Roll Tide War Eagle, residents of the state were immersed in a great cultural divide of orange and blue versus crimson and white, going all the way back to 1893. Even before I learned to ride a bike, I could tell you that Alabama ran the Wishbone offense formation and Auburn ran the Veer. The names Bear Bryant and Shug Jordan were spoken with hushed tones, and my first encounter with product placement occurred during their weekly TV shows. Golden Flake and Coke, there they were; the Bear himself taking a big ole swig of Co’Cola, kicking off his awe-inspiring monologue occasionally punctuated with a sudden exclamation of “Bingo”! That meant the right man had made his tackle stick. Without a lifetime of developing coping mechanisms for surviving football season in Alabama, how does one make it? Well, it is pretty obvious that the least effective strategy for living in the world of Alabama/Auburn is to ignore it. Mainly because it’s impossible. There is houndstooth everywhere, at all times; it’s the state pattern. Some days there is toilet paper thrown across big things: everything from trees to army tanks. Not only is there a wealth of logo’ed merchandise, but there is also an entire industry of stuff stamped with the compromising, all telling “House Divided”. And then there was that house that was actually divided. Peace. First, I recommend picking a side. If you are living in the state of Alabama, it’s almost imperative to go for one or the other; flip a coin if you must. It’s just easier to answer the inevitable question you will get in the check-out line at Walmart: Auburn or Alabama? I contend that it’s way too time consuming to explain that no, you really don’t live for college football, or no, you really don’t see the difference, or no, you feel silly chanting, “Bodda Getta Bodda Getta Bodda Getta Bah” or “Rammer Jammer Yellowhammer“. The lowest hanging fruit here is to just pick a side and hang on for dear life. Note: if you are already a rabid college football fan of another school, you get a shrug. If it’s an SEC school, you get a pass. The only mistrusted decision is No thanks, none of the above. Second, it might be a good idea to conjure up an excuse to have at-the-ready if you don’t really want to hear every detail of the 1972 Punt Bama Punt game, or how Alabama has won a gazillion national championships. “Oh, my! I’m due at the chiropractor, RIGHT NOW” might work. Better yet might be, “Oh, my! I am due to pick up the babyback ribs I ordered for our tailgating!” In that case, you might be met with a “Run, Forrest! RUN!” response. Fourth is a piece of helpful information. There is a great sucking sound on Saturday afternoons in the Fall as people migrate to the two college towns of Tuscaloosa and Auburn, to Jordan Hare and Bryant Denny stadiums, and to theater-sized televisions all over the state to watch the big smashmouthed events. The vacuum that is created leaves prime spots open in the best restaurants, shows, movies, and shopping areas, especially when both teams are playing. Especially during the Iron Bowl. You might even get right in at Hot & Hot Fish Club, or maybe navigate nicely with little traffic up Highway 280, or park right outside the door at… well, anywhere not showing the game. But don’t plan something meaningful like a wedding during the game; you might be stunned when even Grandma fakes an illness to see the Big Game. Fifth, and most important: don’t sweat it. Don’t take it too seriously. 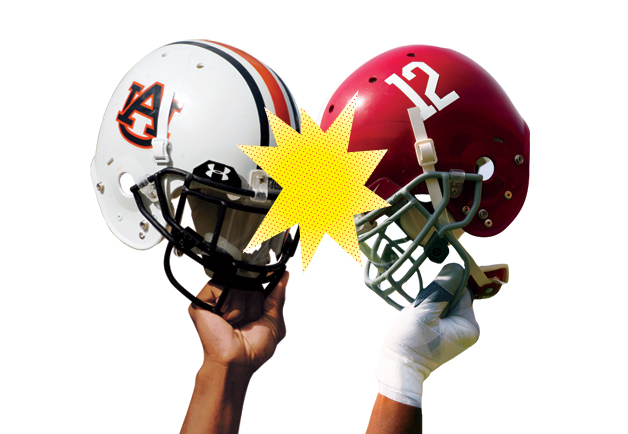 Do Auburn and Alabama fans hate each other? Paul Finebaum says yes from his vantage point, and many people agree; no doubt the rivalry is out of hand, with horror stories of disrespectful and downright despicable acts being committed in the names of both teams. But here’s what is often missed, and often forgotten: when the chips are really down, the good people of the state of Alabama set aside rivalries and come together. When the 2011 tornadoes devastated Tuscaloosa in the worst tragedy our state has suffered in years, the first and biggest relief organization that was formed and ran to the front lines was a grass roots group formed in the heart of Auburn, called Toomers for Tuscaloosa. Had the tables been turned, the good people of Alabama would have done the same for Auburn folks. There was a time I would have recommended running for the hills, taking up tennis, and avoiding the football madness like the plague. No more; something strange happened along the way, and the jokes and ribbing became funny again. Auburn kinda likes being a Cow College, and Alabama fans don’t all have “summer” teeth (some are missing, some are not). The enthusiasm is contagious; it’s not just anywhere that can pack in 80-90,000 people to watch a practice game in the spring. Something fun is going on here; might as well cash in on the joy. If all this is too much for your kids to take in, never fear. Among the stacks and stacks of books about Auburn and Alabama football and the surrounding culture, a few books have emerged aimed at helping the kids while they are young. In particular, I have on my reading list When Mommy loves Bama and Daddy Loves Auburn. Whoever wrote that psychological handbook is a genius. January 6, 2014 marks the end of the 2013 college football season. Between now and then you have plenty of time to perfect your chosen battle cry; a cry that is also a greeting, a celebration, a mark of comradery. Put your hands up, air in the lungs, and haul off with a steady yell…War Eagle! Roll Tide! You might even find yourself meaning it. What is the deal with zombies lately? I admit, I have always had a thing for zombies, but I have kept that a secret for decades. In my teens, I didn’t admit to my girlfriends when I’d see movies like Return of the Living Dead (tag line: “The dead are back from the grave and ready to party!”) My sweet grandmother, in her uniquely southern dialect, would say “I am walking around like a zombius today”. You say zombie, I say zombius; both are fun words. Mama Ollie, would two be called zombii? And then, of course, there was Thriller. Lately, I have noticed a national obsession with all things zombie. Except for a scarily named term about foreclosures that haven’t really gone away, called Zombie Foreclosures, I’ve never connected the dots between zombies and a real estate blog. 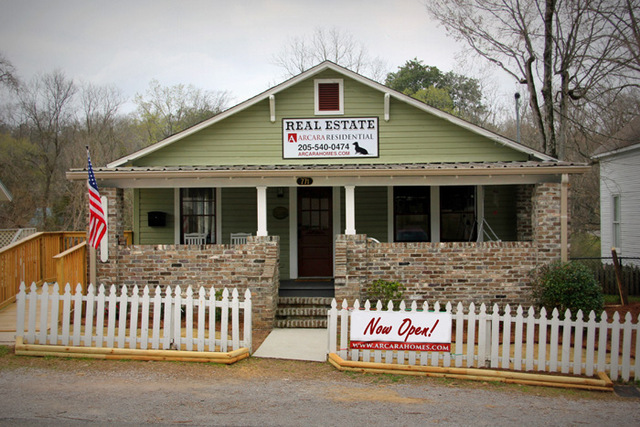 That was true until yesterday, when I ran across a wonderfully fun zombie piece in the biggest real estate blog of all, realtor.com, Eight Zombie-Proof Homes for Living in the Land of The Walking Dead. 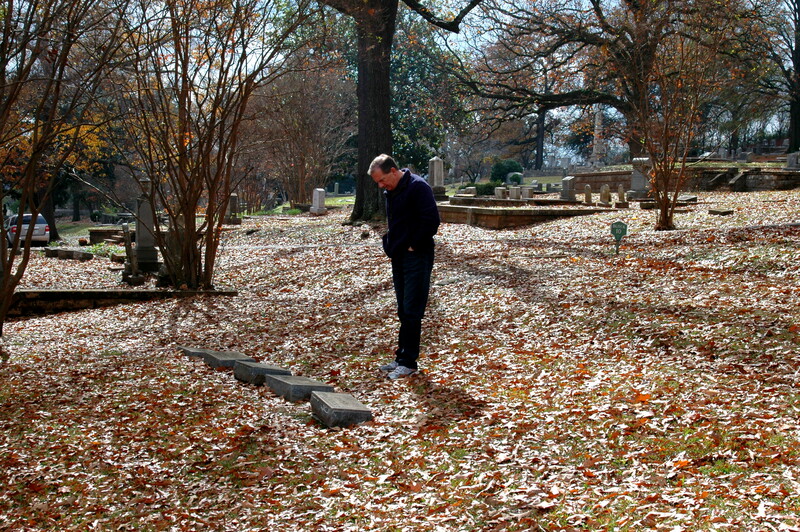 The zombie craze has not escaped central Alabama. 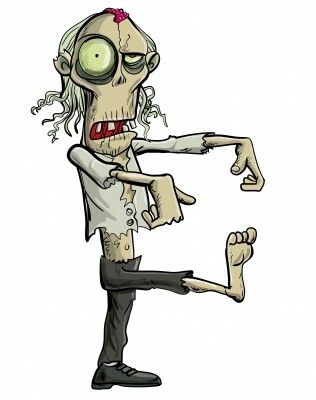 Zombie fans are anxiously awaiting the date announcement of this year’s Zombie Chase 5K, a fundraiser where the runners are chased through the woods by zombies, all for a good cause. That’s about the only thing that might get me sprinting through the woods these days. In a unique fundraiser, Birmingham’s oldest and most historic cemetery holds Oak Hill Zombie Walk, complete with contests for best make-up, best screams, and best zombie shamble. You don’t have to exercise to enjoy zombies; a zombie movie, Warm Bodies, is at the top of the box office list, and close to the top of the TV list is Walking Dead. In honor of this crazy blog entry, we have added to the site a game called Zombie Realtor; you will find it under the “Kids” tab. 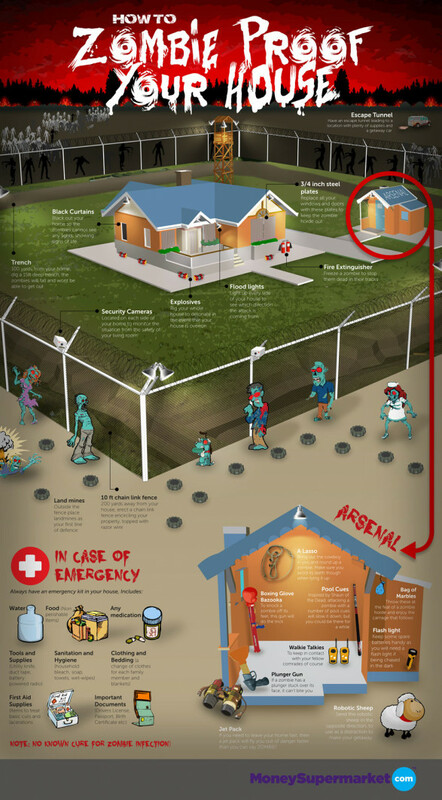 In closing, we are passing along a useful chart for anyone wanting to Zombie-proof your home. Arm yourself with Max Brooks’ valuable Zombie Survival Guide and hunker down until summer, when that awful-looking Brad Pitt zombie movie comes out. Moving is such an exciting time for families, and can be thrilling for kids! It can also be a stressful time with many changes. There have been many children’s books written to help kids cope with the big move, and we have created a list of some of the best reviewed books about moving available. The following article was recently shared by Healthychildren.org, written by the American Academy of Pediatrics about helping children adjust to a move. We are moving to a new community. How can we help our children with this big change? In today’s shrinking world, job loss, promotions, and transfers are forcing some families to move frequently, across town, across the country and even around the world. These moves can be quite difficult for the whole family but particularly for the children. Most people think that, in general, moving is harder on an older child – high school students, for instance, who are asserting their identities, forming meaningful friendships and becoming achievement-oriented. Older children do benefit from permanence and stability. Nevertheless, youngsters in middle childhood have some major adjustments to make, too, even if they seem more flexible. Children, of course, are different, and no two will handle a move quite the same. Stresses such as moving will tend to accentuate different aspects of your child’s personality. Children tend to think about the negative side when a family moves. There is the loss of friends and, along with it, loss of a sense of belonging. In the new community the children will be newcomers, strangers and may need to learn some different social rules. In changing schools they might have to leave behind extracurricular activities – a sports team, a school drama program – that were important to them. Upon arriving at their new school, they may find themselves either academically ahead of or behind their new classmates, depending on the curriculum in the previous school. In helping your child prepare for a move, place as much emphasis as possible on the positive aspects of what awaits her. This is an opportunity for her to live in and learn about a new city, perhaps even a new country, and its people. She may be exposed to new cultural traditions and interesting and different ways of life. It also is a chance to meet new people and make new friends. 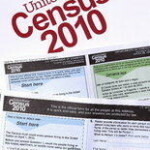 Explain how the family will benefit from the move. For some children, particularly those who may have experienced academic failure or been rejected by classmates at their old school, the opportunity for a new beginning is an exciting prospect. It gives them a chance to be accepted in a new setting and to make friends free of their former reputations and self-images. If this is the case, talk about and plan what you and your child will do differently in your new community. Be cautious, however, of unreasonable expectations that a move will make things wonderful. Children take their likes and dislikes and personal strengths and weaknesses with them. Give your child adequate notice to get used to the idea of moving – even a year in advance may be appropriate. Acknowledge her sadness about leaving behind friends and familiar places. Let her know you are sympathetic and that you understand that she might feel nervous about what awaits her, whether it is the new people, the new school or the new bus ride. At the same time, tell her you will try to make the move as easy as possible for the entire family, and emphasize some of the positive aspects listed earlier. If you are also experiencing stress about the move, be open with these feelings. At the same time, keep in mind that your own anxiety might rub off on your child. For that reason, try maintaining and communicating an optimistic attitude about what lies ahead. The stress of moving is greatest about two weeks before and after the move. Be sure to take some breaks to relax and play. Remind your child that while the move may be making everyone a bit uneasy, it will also be adventurous and interesting. Use the example of the pioneers or the immigrants who overcame their own fears and traveled to new lands, where they encountered new and stimulating experiences. Give her some age-appropriate books that describe families moving from one city to another. Encourage your child to make plans for the move. Have her make lists of tasks and projects to do. She will probably discover that the new city is really not that different from the one she is leaving. Drive by her new school, and even visit it for a few minutes so she can get a sense of what awaits her. Much of her fear of the unknown should dissipate with this trip. Look for new things your child might enjoy. For example, if the family is moving to a larger house, maybe your child will get a room of her own for the first time. Perhaps the new city has a zoo or a science museum that she might find interesting. If you are moving to a different climate, there may be opportunities for new activities (skiing, sledding, ice skating; or, in warmer climates, the chance to play outdoors year-round). Plan in advance to enroll your child in sports, clubs, lessons, and the like so she has something to look forward to and so she doesn’t lose out on opportunities. Give your child the chance to participate in decisions that directly affect her. For instance, what kind of wallpaper would she like for her room? If the new house permits the family to get a new pet, what kind would she prefer? As you meet new people through local schools, groups, or organizations, you can be opening some doors for your child to make new friends. Reach out to people who have children the same age as your own child. Invite them over to make it easier for your youngster to meet other children. Investigate community sports activities, YMCAs and Boys’ and Girls’ Clubs. As your child sees you finding your place in the new neighborhood, she will feel more comfortable and secure doing the same. If you are successful in finding a new friend for your youngster before school starts, your child will have the security of knowing someone on the first day of school. If your child wants to keep her old friendships intact, help her do so. Host a farewell party with her friends, and take photographs as keepsakes. Encourage her to write letters and make phone calls. If possible, visit the old neighborhood from time to time, and invite some of her old friends to spend weekends and vacations with you. Let her know that even though you have moved, she does not have to break the ties that have been so important to her. If you plan the move as a family, and support one another as you adjust to the new community, it can bring your family closer together. Let your child know that you will be available to help her deal with any problems and concerns that arise. 2010 Census Showed that Calera and Chelsea both grew by 250%. 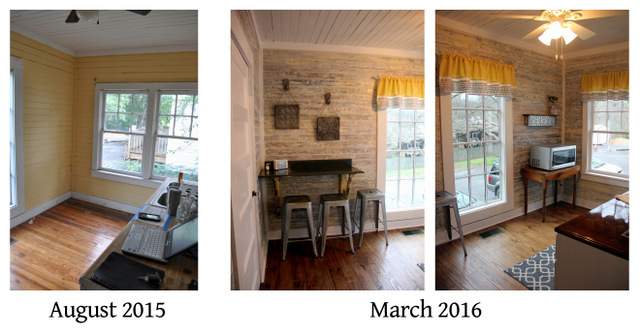 Check out Shiloh Creek! Trussville Boomed! Population growth in Trussville was 54% over the past decade. Visit the spectacular Brooke’s Crossing for a beauty in Trussville. 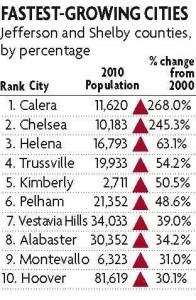 The three fastest growing “larger” cities (cities that started the decade with populations more than 10,000) were Helena, Trussville, and Pelham. We are proud to feature neighborhoods in these areas such as Pelham’s Eagle Cove. Hoover population soared 30% over the past decade. Hoover’s Mayor Petelos attributes the growth to Hoover being a great place to live and raise a family, with one of the better school systems in the state. It is amazing that million dollar views are still available in this beautiful city, such as you will find at Southpointe Ridge (with full basements, starting at $299,900). 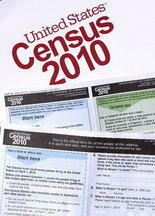 More detailed information and analysis is available at http://www.al.com/census/news/index.ssf/index.html. Gary Davis from Farmer’s Insurance shared the following tips about preventing household water damage. Did you know? 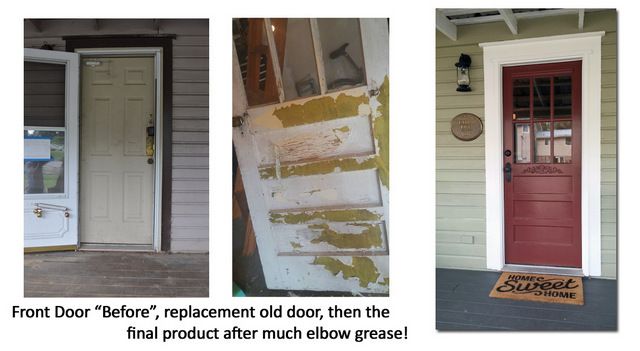 – Ninety percent of household damage is the result of water damage and flooding. Broken water pipes are a major contributor to that figure. Electronic items are destroyed. Rugs, curtains and clothes are ruined. Electric shock risk is dramatically increased. At the very least, you’ll spend days cleaning up the mess, getting rid of the resulting mildew smell and getting your pipes fixed so you can resume your water service. Check your water heater annually for rust or leaks. Replace washing machine hoses every five years. Check washing machine control valves every five years. Locate the turn-off valve for your city water supply. Learn how to operate it. If your water bill is abnormally high for no apparent reason, do a complete inspection of your water system. Do not pour grease of any kind down your sink or disposal. Winterize outside water faucets during freezing weather and disconnect outside garden hoses from the faucet.